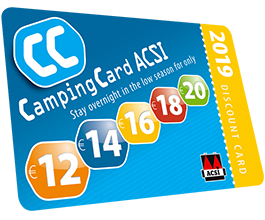 Croatia is a wonderful country for camping enthusiasts. The historic coastal villages, countless islands and the beautiful countryside of the interior are all worth a visit. Ancient towns such as Dubrovnik and Split will transport you to Greek and Roman times and show you the history of the country. The excellent combination of countryside and culture is a must for each camping enthusiast. Croatia is known for its national parks. In total, there are eight national parks in the country, with a total area of 994 km2. One of these, Krka, is especially stunning. Its green wooded rocks stand in huge contrast with the clear-as-ice waterfalls. This, in combination with the richness of the flora and fauna in the park, make Krka an extraordinary place. Thanks to its long coastline, Croatia has plenty of beaches. Shingle beaches for beautiful walks with a view over rugged cliffs, and sandy beaches for a refreshing dip in the clear blue sea. At many beaches in Croatia you will find a blue flag, as a sign of clean water. Research has shown that the Croatian part of the Mediterranean Sea is the cleanest! This historic little harbour town in the southern point of Croatia is definitely worth a visit. The old centre is surrounded by an authentic city wall, which gives a beautiful view over the town and over the sea. Just as beautiful as Dubrovnik itself is the road to it from Split. This four hour drive will lead you along the phenomenal Croatian coast, the sea and the many islands of Dalmatia. 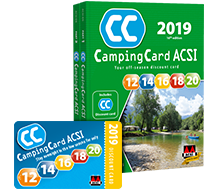 In the attractive inland countryside and on the quiet beaches you will find a good number of campsites that allow you to camp at discounted rates with CampingCard ACSI. Apart from this, the prices in Croatia are generally quite low, which means the total cost of your trip will be a pleasant surprise. For example, you will be able to spend time at a pavement cafe without spending much money and going out for a meal is also very inexpensive in Croatia. Croatian cuisine is a culinary melting pot. Along the Mediterranean Sea, especially in Istria and Dalmatia, you will find mostly Italian and Greek influences. If you head further east, you will find Hungarian and Austrian-inspired dishes. The dishes in the centre of Croatia are characterised by Turkish flavours and spices. Croatia is a great place to be during the whole of the low season. In autumn you can enjoy warm temperatures of about 22 degrees Celsius until late into the year. Starting in March the temperatures in the country will slowly rise to 20 degrees. In winter the temperature rarely falls to below freezing, with the exception of the mountains in the east of the country. This makes Croatia an excellent country to spend the winter.